Money makes the world go ‘round. If you’re like many students, college is the first time you need to really think about finances. Being “financially literate” means possessing the skills to make smart financial choices. In other words, it means knowing how to handle your money now and set yourself up for financial success in the future. Do you feel like you have a good grasp on your finances, or do your bank transactions look like some kind of alien script that you don’t understand? It’s more important than ever for students to understand their finances. According to Inside Higher Ed, college expenses keep rising and financial aid is struggling to keep up. With this in mind, it’s crucial that students know how to make smart spending choices as well as figure out the difference between needs and wants. It’s important to learn to balance day-to-day expenses while staying on track for the long term. The first step is to determine your monthly income. This may come from a pay stub, from family support or from student loans. Determining your fixed expenses should be relatively easy, as they don’t fluctuate much. Your flexible expenses, however, can be harder to track down. Look at your bank statements and keep a close eye on the money you spend for things like food and entertainment. Budgeting apps such as Mint can help you easily keep track of your expenses. Once you’ve calculated your total monthly expenses, you can subtract it from your income. Hopefully you have some money left over. You can use that money to help pay off existing debts, build an emergency fund or start investing. Try to take another look at your flexible expenses and see if you can cut down on any other costs. You may be surprised to find that many students save more than $100 a month simply by making coffee at home instead of buying it at a coffee shop. Understand the types of debt. Good debt is a loan that is taken out as an investment that will generate long-term income or grow in value over the future. Examples include taking out a loan to start a small business; a mortgage to buy a house; or a student loan to support an education. 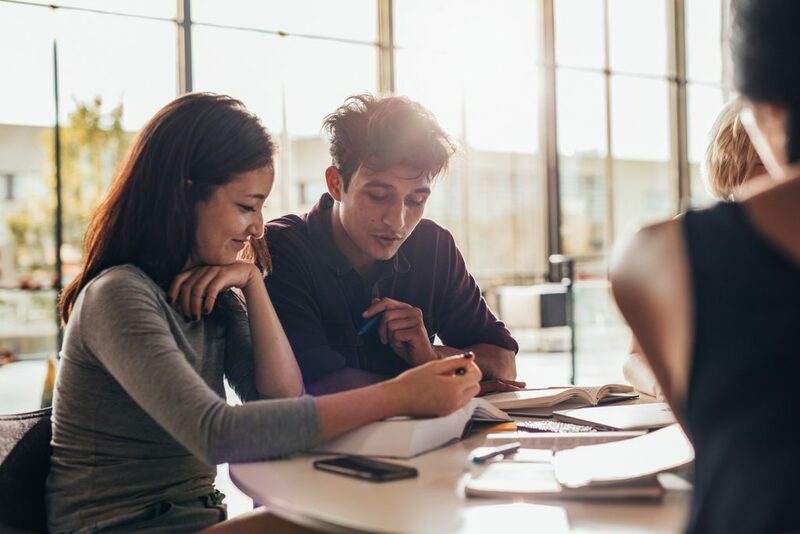 According to CollegeBoard, a college education can increase your potential for income and employability, so incurring debt-within reason, in this case, can be beneficial. Bad debt is debt incurred by buying things that do not generate income and will quickly lose their value. Though sometimes necessary, credit card debt is generally seen as ‘bad debt’ because it carries a high interest rate. The rule of thumb to avoid credit card debt: don’t buy what you can’t afford. It’s also a good idea to pay your balance off every month to avoid interest charges. This is where keeping track of your flexible expenses pays off. When it comes to borrowing money, it’s important to find a lender that understands your needs and can help you work toward your future plans. As for earning interest yourself, time is on your side when it comes to investing. Compound interest can turn your small savings into a large nest egg by the time you retire. Also called a “rainy day” fund, an emergency fund is used to cover the large financial surprises life can throw your way. Surprises can include loss of income, major auto repairs or medical bills to name a few. Having an emergency fund protects you from having to take on excessive credit card debt or high-interest loans when you face unexpected expenses. It’s a good idea to fund this account regularly, even if it’s just your spare change every month. If you ever need to use it, you’ll be glad you saved up. Your student ID can come with a surprising amount of perks. Students can receive discounts on all sorts of items, from computers to clothes. Local restaurants may offer deals, and some car insurance companies offer savings to students who get good grades. If you’re going to a theater or park, check to see if the one you’re attending has a student discount. For a comprehensive guide, check out Insider’s list of student discounts. Having fun doesn’t have to break the bank! See that financial literacy is a lifelong skill. The financial skills you develop now can benefit you for a lifetime. What could be more practical than knowing how to handle money? Now is the time to make sure you are financially literate and set these skills into motion. It pays off to master the skills of budgeting, planning and investing. 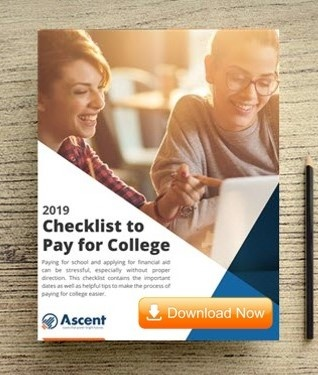 Ascent Student Loans is dedicated to helping you succeed, in your college years and beyond.